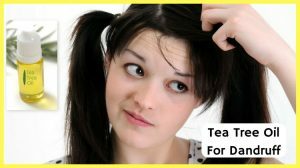 How To Use Tea Tree Oil TO Get Rid Of Dandruff? It is estimated that almost 50% of the population in North America suffer from dandruff. Although, dandruff is common in both men and women, it is more prevalent in people with oily skin. Although, the exact cause of dandruff is not known yet, it is believed that a skin condition known as Seborrheic dermatitis causes dandruff. It can also be caused due to excessive dry skin, emotion, stress or reaction to certain hair care products. Commercial treatments and shampoos contain harsh chemicals that can damage your scalp condition. But with some natural remedies, like tea tree oil you can treat dandruff without any side effects. Is Tea Tree Oil Useful for Getting Rid of Dandruff? Compound terpinen-4-ol present in tea tree oil has powerful antibacterial and antifungal properties which can help to get rid of the fungus (Malassezia) causing scalp infection and dandruff. The cleansing properties of tea tree oil remove dirt, sebum, dead skin cells and product deposits from the scalp which can lead to dandruff and scalp irritation. Natural antiseptic and anti-inflammatory properties of tea tree oil speed up the healing process and helps to control the dandruff from spreading. For your convenience, we have listed various methods of using tea tree oil with a detailed description. You can try any home method regularly to achieve the results. Tea tree oil can be used in diluted form mixed with water or it can be added to your regular shampoo as a treatment for dandruff. Take a cup of water and add 10 drops of tea tree oil to it. Shampoo your hair thoroughly and dry with a towel. Pour this solution all over your damp scalp and massage with your fingers. Leave it on for 30 minutes and then rinse your hair with water. Follow this process every other day for a couple of weeks. Take your regular shampoo and add 5 to 10 drops of tea tree oil into it. Use it to wash your hair and scalp. Leave the application for 5 to 8 minutes and then rinse thoroughly with water. Repeat this process 3 to 4 times a week for a month. Acetic acid, malic acid and enzymes present in apple cider vinegar destroy the fungus causing scalp infection, dandruff and itching. Apple cider vinegar also restores the pH balance of the scalp and cleanses up the scalp. Take 1/2 cup each of apple cider vinegar and water in a bowl. Add 10 drops of tea tree oil to it and mix well. Let it sit for 30 minutes and then wash off with lukewarm water. Note – You can also use plain white vinegar instead of apple cider vinegar for this treatment. Lavender oil moisturizes the dry scalp. Its anti-fungal and anti-inflammatory properties help to fight of fungus causing scalp infections and dandruff. Add few drops of lavender essential oil and tea tree oil to any carrier oil. Mix it thoroughly and apply it all over your scalp and hair. Massage gently for 5 minutes and then leave it on for another 30 minutes. Zinc and selenium present in jojoba oil has potent antibacterial properties that help to soothe itchy scalp. It has almost similar consistency like human sebum, so it helps to moisturize and hydrate the dry scalp without clogging the hair follicles. Take 1/2 cup of jojoba oil and add 5 to 10 drops of tea tree oil to it. Mix it with a spoon and massage it into your scalp and hair. Let it sit for a few hours or overnight. Wash off the application with water and mild shampoo. Follow this process once in 2 days. Baking soda is a potent natural cleanser that helps to get rid of dead skin cells, unclog the hair follicles, excess sebum and other impurities from the scalp. Take 2 to 3 tablespoons of baking soda in a bowl and add enough water into it to make a paste. With your fingertips, massage in circular motions for 5 minutes. Leave it on for another 10 to 15 minutes and rinse your hair thoroughly with water. Follow this procedure 2 times a week. The anti-fungal and anti-bacterial properties of coconut oil help to treat scalp infections and heal extreme causes of dry scalp caused by Scalp Folliculitis and Scalp Eczema. Take 2 to 3 tablespoons of pure coconut oil in a bowl. Add 10 drops of tea tree oil to it and mix it well. Apply this mixture all over your scalp and massage gently for 5 minutes. Cover your hair with a warm towel and allow the oil to sit for 30 minutes to a couple of hours. Wash your hair with water and a mild shampoo. Repeat this method 2 to 3 times a week. Citric acid present in lemon juice helps to cleanse the scalp and remove impurities from the scalp that causes dandruff and scalp itching. Anti-fungal properties of lemon juice deal with dandruff caused by fungal infections. Using a cotton ball, apply this mixture all over your wet scalp. Leave it on for 20 to 30 minutes and then rinse your hair thoroughly with water. The ingredients such as menthol, thymol, eucalyptol and methyl salicylate present in Listerine have potent antiseptic and anti-fungal properties that help to treat dandruff caused by fungal infection. In addition, methyl salicylate possesses anti-inflammatory and cooling properties that help to soothe itchy and inflamed scalp. Add 1/4 cup of Listerine to 1 cup of water. Add 8 to 10 drops of tea tree oil to it and mix well. Pour this mixture all over your damp scalp. Rub it in with your finger and leave it on for 5 to 8 minutes. Rinse your scalp and hair thoroughly with water. 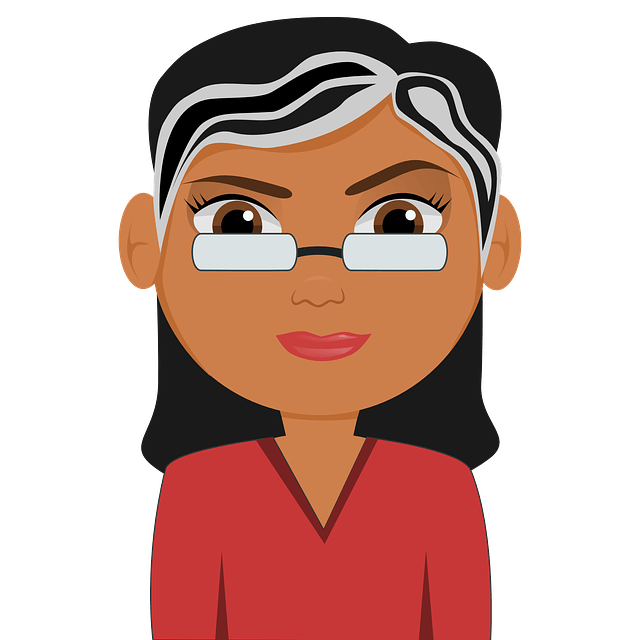 Note – Don’t use Listerine on your scalp if you have excessively irritated or broken skin. Olive oil is loaded with antioxidants such as vitamin E and vitamin A that helps to nourish and rejuvenate the hair. It is a natural moisturizer that moisturizes the dry scalp and reduces dandruff. Polyphenols in olive oil help to clean up the scalp and open up the clogged hair follicles. Take 2 to 3 tablespoons of extra virgin olive oil and add a few drops of tea tree oil to it. Mix it thoroughly and massage this mixture into your scalp. Cover your hair with a warm towel and let it sit for a couple of hours. Pure aloe vera gel helps to treat dandruff caused by fungal infection. The antibacterial and antifungal properties of aloe vera help to fight off scalp infections. Its antiseptic properties speed up the healing process of the inflamed areas. Hydrating properties of aloe vera moisturizes the scalp and prevents it from drying up. Take 1/2 cup of pure aloe vera gel and add 8 to 10 drops of tea tree oil into it. Mix it thoroughly using a spoon and apply this mixture all over your scalp. Leave it on for a couple of hours and then wash off using a mild shampoo. Choose 100% natural and organic tea tree oil which has high concentration of Terpinen 4 OL. It is the main antiseptic agent in tea tree oil. For people with sensitive skin, tea tree oil in concentrated form can cause skin irritation, redness and blistering. So, it is recommend to perform a small patch test before using tea tree oil in larger quantities. Avoid applying tea tree oil to broken skin or rashes because it can cause stinging and burning. Follow a proper hair care routine that involves shampooing, conditioning and oiling. Use an anti-dandruff shampoo that contains zinc, selenium and salicylic acid. Wash your hair on a daily basis to prevent the development of dandruff. Avoid the use of oily and cream-based hair styling products such as hair gels, pomades, hair spray, hair wax and mousse to prevent the build up of oil in the scalp. Stress can trigger dandruff, so practice stress management techniques such as yoga, meditation, deep breathing, etc. Maintain a balanced diet that contains healthy fats, fruits, vegetables, whole grains and proteins. Try any one of these remedies and say good bye to flaky scalp, itching and irritation naturally without damaging your hair. Do share your tips, remedies and suggestions with us in the comments section below.